Karen J. Schumacher, 77, Hays, died Tuesday, November 20, 2018 at HaysMed. She was born April 27, 1941 in Hays, the daughter of Adolph and Rose (Leiker) Kryzer. In 1959, she graduated from Girls Catholic High School. On September 28, 1959 she was united in marriage to Donald L. “Donny” Schumacher at St. Anthony Catholic Church in Schoenchen, and they celebrated over 59 years of marriage. 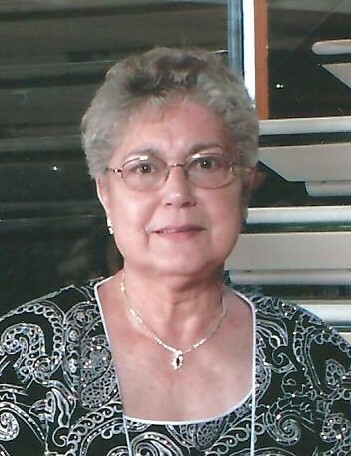 Karen worked in the business office at St. Anthony Hospital, was a homemaker, and a member of St. Joseph Catholic Church, the Daughters of Isabella Circle #254, and the Buckeye FCE Ladies Club. She enjoyed her pinochle card club, playing Bingo, crocheting, embroidering tea towels, and traveling with her husband and family. She was a loyal Kansas City Royals and Chiefs fan and she loved animals, taking them in and caring for them. Survivors include her husband Donald, of the home in Hays, a daughter; Tanya Staats and husband Brian of Great Bend, two sons; Todd Schumacher and wife Melissa of Topeka and Ty Schumacher of the home in Hays, two sisters; Janice Arnold of Hays and Phyllis Kryzer of Wichita, and six grandchildren; Cody Schumacher and wife Taryn, Courtney Schumacher, Connor Schumacher, Charell Owings and husband Jeremy, Cierra Einsel and husband Darin, and Collin Rous and wife Anna.